Actress Erika Alexander sends a message to Wendy’s: Join the Fair Food Program! For the past six weeks, our advance organizing team has been taking New York City by storm in preparation for next week’s Freedom Fast. Thanks to the tireless crew of CIW farmworker leaders and Alliance for Fair Food staff members assembled in the city, a palpable buzz is building by the day among faith communities, students, worker groups and labor unions, women’s rights organizations, and celebrities ahead of next week’s Freedom Fast and Time’s Up Wendy’s March! In addition to the excitement about the big march through Manhattan on the 15th, scores of allies from around New York and the country — from Massachusetts to Wyoming — will be joining nearly two dozen farmworkers in their five-day fast outside of the offices of Nelson Peltz. Now just a week out, the Freedom Fast and march are shaping up to be the largest and most significant actions in the Wendy’s Boycott to date. After over a month of outreach, New York is just about ready for the upcoming Freedom Fast and Time’s Up Wendy’s March! First up, we have a report from the swiftly-growing movement for women’s rights. In addition to public support from the Time’s Up movement, actresses like Erika Alexander (see video above), Amber Tamblyn, and Patricia Arquette, and the announcement that U.S. Women’s Soccer superstar Abby Wambach, New York Times bestselling author Glennon Doyle, and human rights leader Kerry Kennedy will be marching alongside the CIW, we have been working closely with both local and national women’s rights leaders who are stepping up to the plate to combat sexual violence. We marched in the 200,000+ strong Women’s March in NYC, spreading the word about the Wendy’s Boycott and upcoming action to countless women. Since then, the Women’s March NYC Chapter has committed to show up en masse for the upcoming Time’s Up Wendy’s March. And, the New York chapter of the National Organization of Women — one of the country’s largest women’s organizations — will also be marching with farmworkers on March 15th! I send my deepest love and solidarity to the courageous women farm workers who are fasting for dignity and respect in their workplace, and justice for those who continue working outside of the protections of the Coalition of Immokalee Workers’ groundbreaking Fair Food Program. Wendy’s has an obligation to join the Fair Food Program and treat their workers with respect and dignity – no woman should have to endure sexual harassment and assault in the workplace, no woman should be overlooked and silenced. 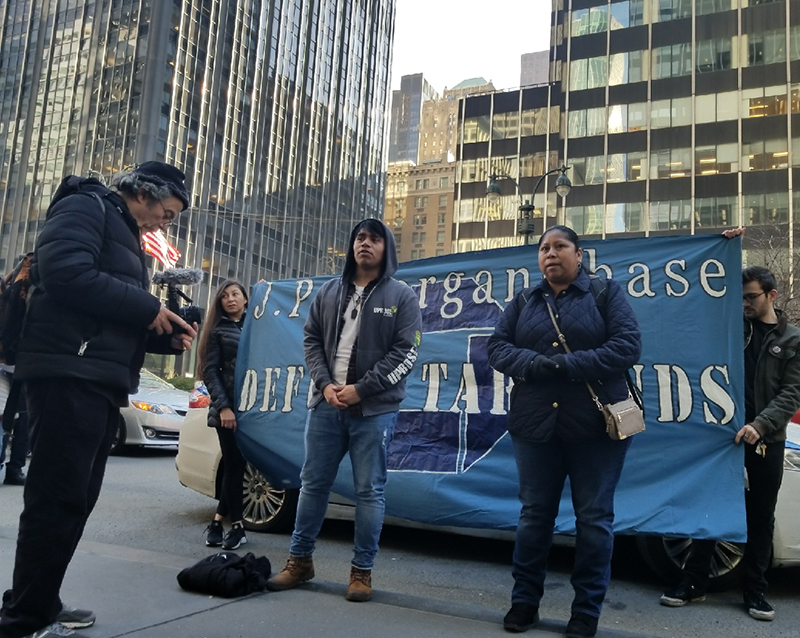 We demand justice for farmworker women and call on Nelson Peltz, who has the power to end sexual violence against women in Wendy’s supply chain and yet remains silent. In the wake of unprecedented change that is sweeping the country your refusal to act in the best interest of women farm workers is a glaring crime. Keep going, brave, beautiful women. I am with you, and all of us at V-Day and One Billion Rising – countless activists around the world – stand with you today, rising in the name of justice for all women workers. Meanwhile we have met with preeminent social change authors and scholars like Noami Klein (below, right) — who spoke at the historic Burger King rally a decade ago! — and Michelle Alexander (below, left), the author of “The New Jim Crow” and professor at Union Theological Seminary, both of whom cheered on our team and expressed their support for the Wendy’s Boycott and the Time’s Up Wendy’s March. And one more exciting tidbit from the women’s rights front: On March 8th, International Women’s Day, the NYC branch of International Women’s Strike is hosting a major one-hour women’s strike and march — and the march will stop at a Wendy’s restaurant, connecting the struggle of women farmworkers to that of women workers all around the globe! 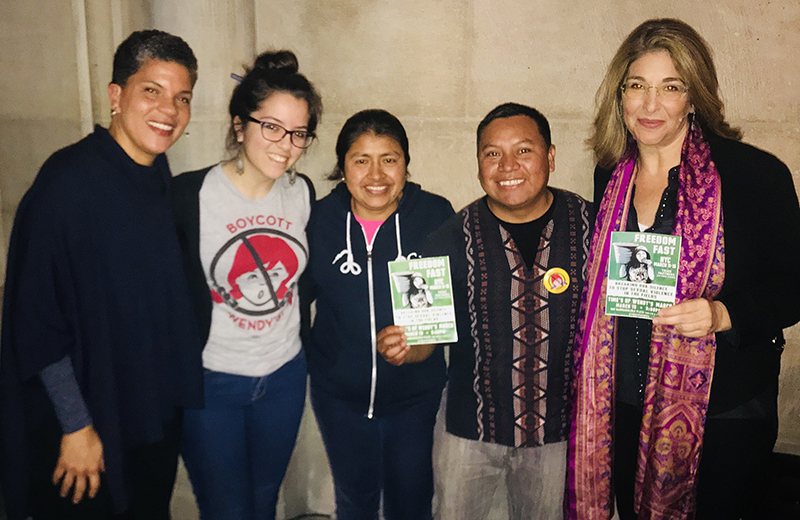 We are also thrilled to announce that the historic Riverside Church — described in the New York Times as “a stronghold of activism and political debate throughout its 75-year history… influential on the nation’s religious and political landscapes” — has once again extended its hospitality to CIW farmworkers and allies fasting during the Freedom Fast, offering a home away from home for tired fasters. Beyond Riverside, our advance organizing team has been hosted by Benincasa Community, a lay Catholic community dedicated to supporting struggles for justice in the city and beyond. And without a doubt, the abiding commitment of Benincasa to social justice goes beyond generously offering a place for us to work and rest: three members of this community will be among the scores of allies fasting alongside farmworkers next week! 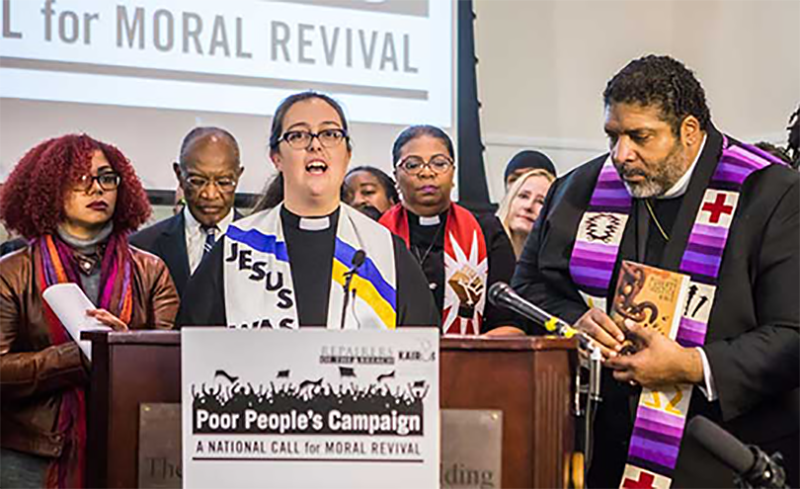 Meanwhile, excitement has been spreading within dozens of the city’s synagogues and churches — each of which plans to show up in solidarity with farmworkers on March 15th — and within the city’s (and the country’s) next generation of faith leaders after our meetings and presentations at the Jewish Theological Seminary, Hebrew Union College, and Union Theological Seminary. Speaking of the next generation: Young people in the New York City area — from middle schoolers and high schoolers to university students — are getting ready to join farmworkers as well for next week’s action! At a local level, our team has traversed the city to meet with student groups, classes, and professors, drumming up excitement at the City University of New York — which hosted CIW for a panel on the Fair Food Program and its unequaled ability to eradicate sexual violence from the workplace — New York University, Columbia and Barnard. 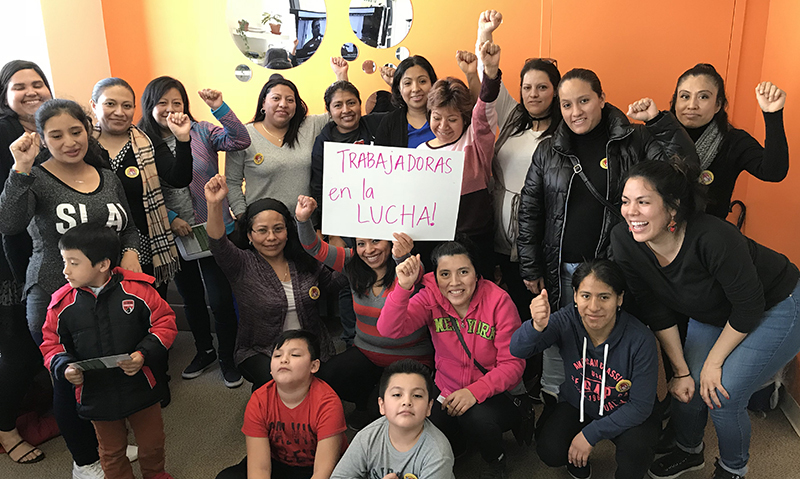 Nationally, of course, the Student/Farmworker Alliance Steering Committee has spent weeks organizing buses of students who may not live in New York, but who can’t imagine a better spring break than heading up to the Big Apple to support the CIW’s major action. SFA also represented at the annual conference of United Students Against Sweatshops, hosted this year at Rutgers University. USASers from all across the country committed to taking action on their own cities in solidarity with the Freedom Fast. Finally, we’ve been continuing to deepen our relationships and mutual support of the city’s many labor movements, with committed contingents from Make the Road, Domestic Workers United, 32BJ, Workers United (representing nail salon workers), National Domestic Workers Alliance, NYC’s branch of the Industrial Workers of the World, Laundry Workers Center United, and union locals around the city. Get ready, New York City: The Freedom Fast is just a week away! And stay tuned, Fair Food Nation, as this week promises to be a busy one, with support for next week’s action growing daily!